Regular oil changes ensure your vehicle's engine will perform properly and prevent dirt and debris from building up on the inside. Clean oil is necessary for lubrication of all your engine's internal moving parts. 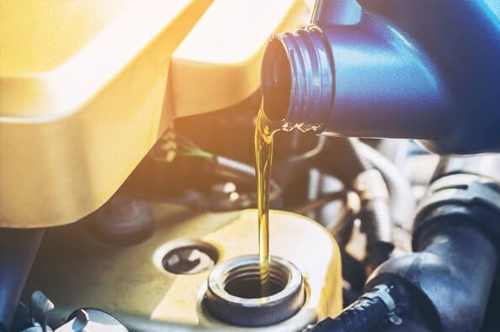 Oil changes are essential to prolonging the life of your vehicle, can certainly prevent more serious problems from occurring in the future, and can even increase your gas mileage. As part of your oil change service, our certified technicians at Paramus Hyundai will also check your other fluid levels, check and replace your air filter if needed, and replace your oil filter as well. Our service technicians are specially trained for all vehicle makes and models and regularly perform oil changes. 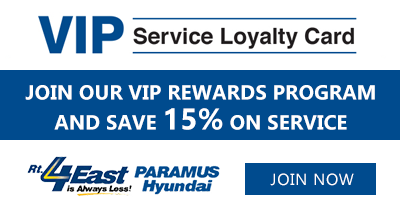 At Paramus Hyundai, we only quality OEM parts to service your vehicle. OEM stands for original equipment manufacturer. This means that any part we replace on your vehicle for an oil change, whether it's your oil filter, air filter, or something else, the part we replace it with will be the original part that the vehicle was manufactured with when it was first put together. No special attachments are needed and it will fit exactly the same as the old part. Paramus Hyundai does not use aftermarket parts, as many quick lube shops do, because they vary greatly in quality, the selection of a single part is often overwhelming, and they are not backed by a warranty. OEM parts, on the other hand, are sourced directly from the manufacturer and are backed by a warranty for replacement in case something goes wrong. The warranty period varies depending on manufacturer brand and dealership, but it is typically about one year. Our dealership keeps numerous parts in stock for oil changes, so you will not have an extended wait time for an oil change to be completed. We have everything we need to service your vehicle right in our shop.